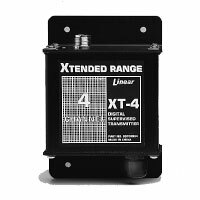 The Model DXS-21 Supervised 2-Button, 1-Channel Handheld Transmitter is a supervised, digitally coded radio transmitter designed for use with Linear’s DX and DXS Format receivers. Pressing a button on the transmitter sends a digitally coded wireless signal to its companion receiver. To send a complete signal, press the transmitter button for a minimum of 2 seconds. The top button can be hidden with the top button cover supplied. 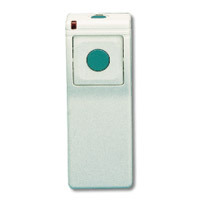 The DXS-21 is a two-button, one-code transmitter. Pressing either the round button on the transmitter’s front, or the small button on the transmitter’s top will send the same signal. The DXS-21 is supervised for low battery and sends hourly status reports. Some receivers are able to use these signals, others are not. 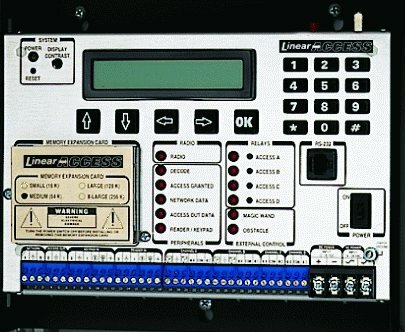 Receivers must be programmed to the transmitter code before system testing and operation. Refer to the receiver’s instructions for details on operation and programming. Each DXS-21 is powered by two self-contained type 2032 3-volt lithium batteries (included). When the batteries voltage gets low, a low battery report is sent with any alarm or status report to notify the receiver. The red LED will blink when the transmitter is activated with low batteries. 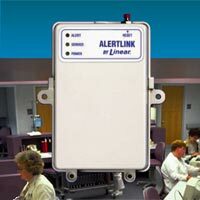 Pull Cord ALERTLINK AL-1 – Interfaces to Most Nurse Call Systems!